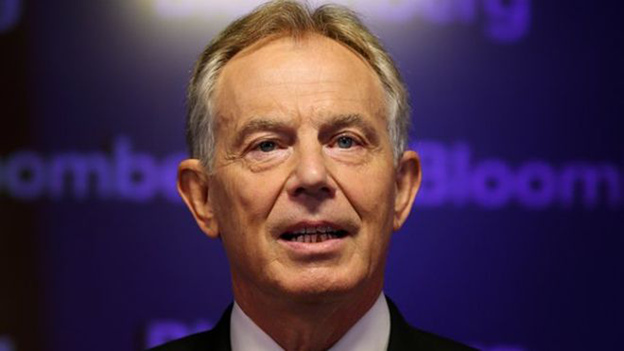 Former UK Prime Minister Tony Blair is to stand down from his role as Middle East envoy representing the US, Russia, the UN and the EU, sources confirm. He will leave the role next month after he fulfils "outstanding commitments", a source close to Mr Blair told the BBC. Mr Blair, who took the role just hours after leaving Downing Street in 2007, has written to UN Secretary General Ban Ki-Moon to confirm his decision. He will "remain active on the issues and in the region", the source added. Mr Blair remains "fully committed to assisting the international community in its work with Israel and the Palestinians to bring about progress on the two-state solution", they said. "He believes that he can best support these efforts through working with the key regional players, the USA, the EU and others, without any formal role." Mr Blair felt the post was "limited" to supporting the Palestinian people on economic development and strengthening institutions, the source said. But despite the "political constraints" of the position, Mr Blair believes "much has been achieved" over the last eight years. The former Labour prime minister feels an "entirely new approach" is required to find a two-state solution, the source added. Mr Blair will now "concentrate on strengthening relations between Israel and the wider Arab world", which he believes could help "underpin international efforts to end the ongoing impasse in the peace process". "He believes that achieving this progress on the ground is an essential prerequisite to strengthening broader Arab-Israeli relations."